Our latest piece to publish, a library themed Save the Date. The couple is getting married this July on the steps of the Pittsburgh Public Library. What a great place to tie the knot! 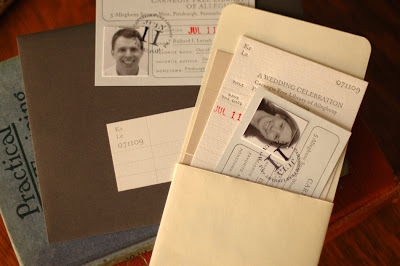 This set includes a check out card, book sleeve and two personalized library cards (complete with the bride and grooms favorite books and authors).